I met a woman who always wears hats, and her sense of style made me want to have a hat. She wears very simple clothes, but her hats make her fashion statement. Her hats are not too decorative but striking in style, and just simple enough to match everyday clothes. Therefore, I designed a simple shape with just enough slouch, then added a large lace motif on one side. 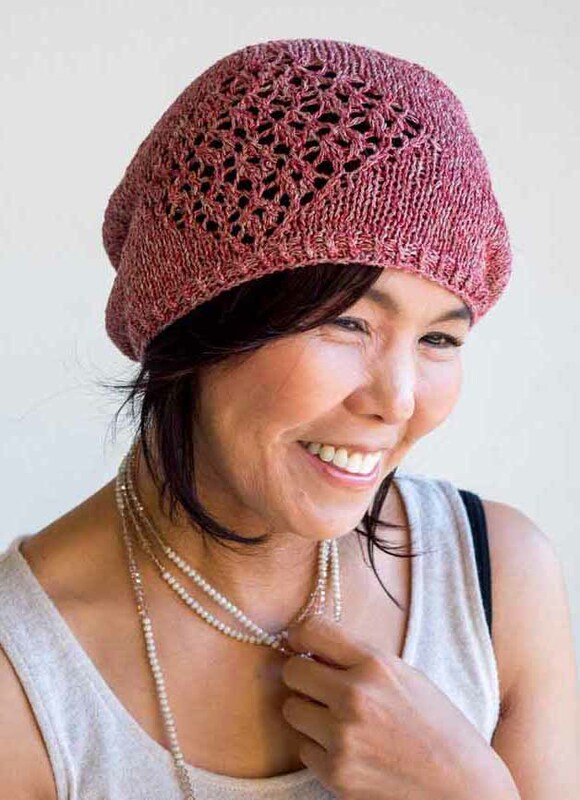 This hat is simple yet stylish with a rose bouquet lace. The Linen in combination with the cut-style motif lace make a great spring to summer hat. You can sew beads to the center of each rose flower if you want some extra bling.